OFFICER MANDORA arrests the renegade robot [CAPTAIN] CRACKER and takes his Space Freighter to the Grey Planet Prison. CRACKER traps her and releases all the prisoners. 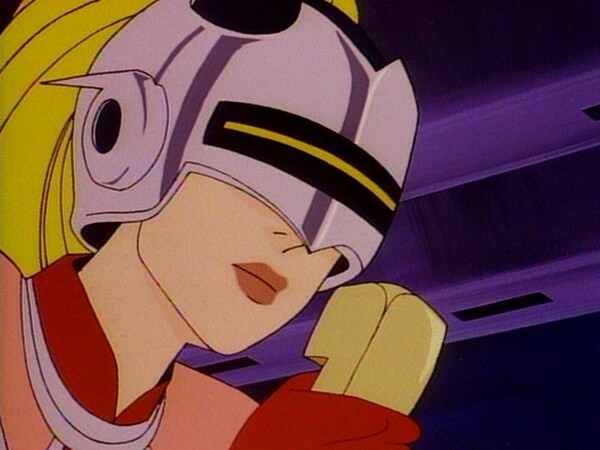 MANDORA sends her bike Electra Charger to bring LION-O to her aid. The “reformed” pickpocket, QUICK-PIC, helps LION-O rescue MANDORA by pushing the Orbit Brake and bringing the planet to a halt. 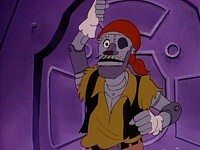 LION-O is kidnapped by the Captain, and when the freighter is in deep space again, he is made to walk the plank. MANDORA and QUICK-PIC retrieve the lost Sword of Omens and pursue the freighter. They arrive just in time to catch LION-O as he falls through infinity. 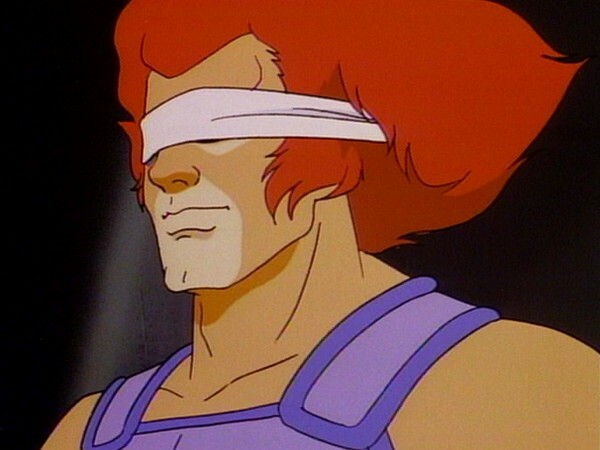 LION-O signals the THUNDERCATS with the Sword’s Eye to warn them of CRACKER’s arrival on Third Earth. The THUNDERCATS trap CRACKER and his robot crew in a steel net. MANDORA and QUICK-PIC set off to return them to the Prison Planet. Lion-O does not hesitate to go to the aid of his friend Mandora. And Mandora, in turn, rescues Lion-O when he is in trouble. 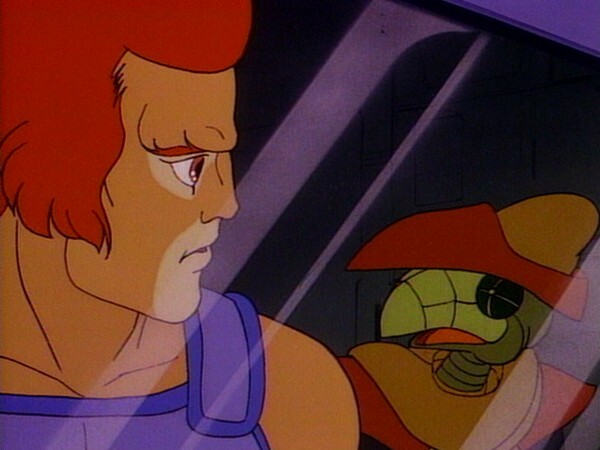 Both Lion-O and Mandora stand-up for Quick-Pic in seeking a pardon for him. He has earned their support by his reform and the good deeds he performed in assisting them in combat against Cracker and the prisoners. Friends are worthy of support and assistance, and when we interact with them, we feel a camaraderie and closeness. Sometimes, however like Quick-Pic, when we do something wrong that we are ashamed of we are isolated from friends. We must never feel that we cannot change or make amends or that we must always be an outsider. When we do something with good intentions to make-up with our friends for what we’ve done wrong, we will be accepted back into their friendship. 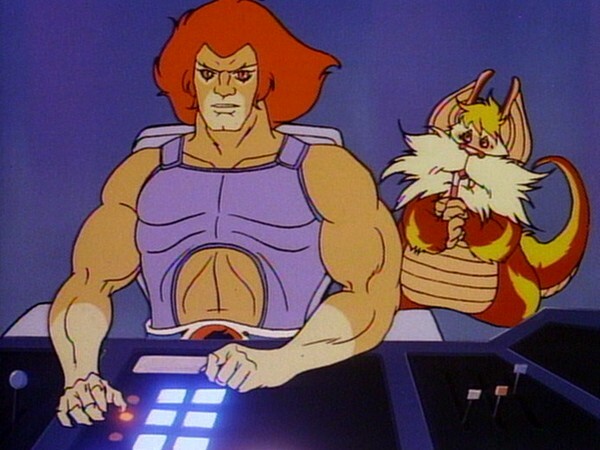 The further into the ThunderCats series one delves, it becomes clear that one of the biggest challenges facing the writers on the show would have been to keep coming up with new, original plots featuring new and unique characters, to keep the feline heroes’ adventures fresh. Something that the writers of animated series from this period were encouraged (and sometimes instructed) to do was to keep the events of each episode “self-contained” (i.e. the events that take place in each episode should not have a lasting impact on the series as a whole). The primary reason for this was because episodes would be shown out-of-sequence, either on local television networks when shown in syndication or through home video releases. 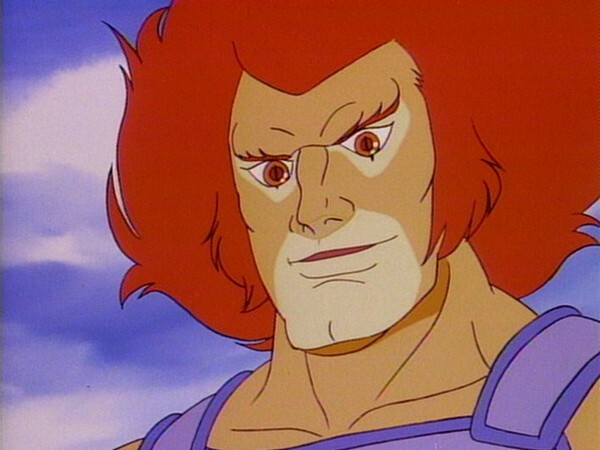 One of the praiseworthy things about ThunderCats is that, particularly in the case of the show’s later seasons, to an extent they did actually shun this trend. However, most of the first season of ThunderCats was written in this more “self-contained” format, and as such it is a testament to the writers that they were able to come up with such a diverse collection of story ideas. One such story idea is the concept of bringing the ThunderCats back into space, where so much of the pilot episode, “Exodus”, took place. In later episodes the ThunderCats would have their Feliner vehicle to take them on space-based missions, but at this point in the series, “Mandora and the Pirates” is the show’s first foray into this type of story. 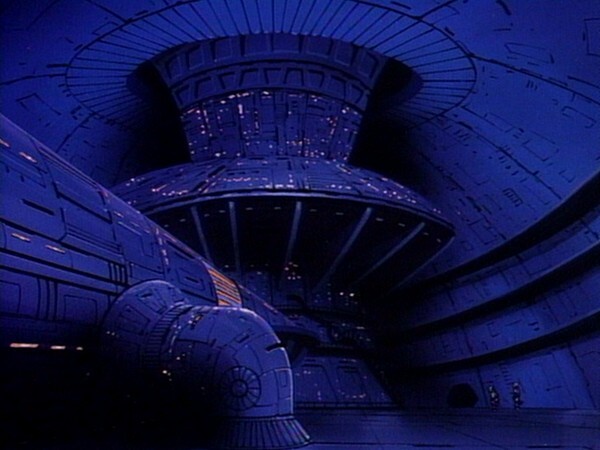 On the one hand, an episode like this can feel like a bit of a departure from the more fantasy-based episodes of the series that have been seen up to this point, and yet this element was always present in ThunderCats—the very first shot of the very first episode is of a spaceship departing a dying planet! So, in that context, these types of episodes are perhaps not as much of a departure as might initially be thought. 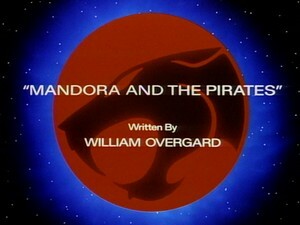 It’s fair to say that the ThunderCats’ journeys into space would prove to be something of a mixed bag in terms of episode quality, and when one realizes that “Mandora and the Pirates” was penned by William Overgard, a writer who would use the space theme to introduce, frankly, some of the most bizarre moments of the entire series, it’s easy to assume that this episode is going to be either very strange or just generally of a poor quality. And yet somehow this episode manages to elude both of those tags—whilst there are undeniably stronger ThunderCats episodes than this one, this nonetheless has many factors to redeem it. One such factor is the inclusion of Mandora the Evil Chaser in her second appearance. 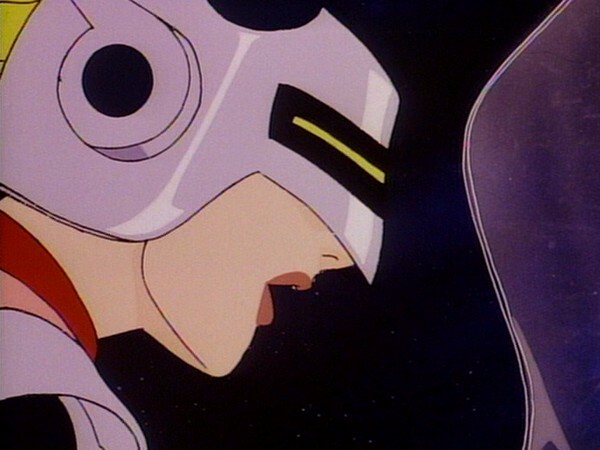 A strong female lead, Mandora lit up the screen in her debut episode and does so again here, in the process creating a truly credible scenario for the ThunderCats’ first space adventure—for it is logical that, as the ThunderCats would befriend different people, these connections would lead them to different types of places and locations, including space! The many outer space locations in this episode provide a real sense of widening the ThunderCats’ universe in the eyes of the viewer, and at the conclusion of the episode successfully bring it all back to Third Earth. In my opinion, all of the space elements in this episode are brilliantly handled and would provide a good foundation for further such episodes later in the series. Perhaps one of the most commendable things about this episode too is that, by including both Mandora and Quick-Pic, this episode becomes something of a sequel to “Mandora the Evil Chaser”, thus establishing an element of continuity. Quick-Pic himself is subject to something of a noteworthy character arc, developing from wanted pickpocket fleeing the law to reformed character serving his time to someone respected and trusted by Mandora and the ThunderCats. Seeing Lion-O attempting to rescue Mandora with Quick-Pic alongside him, and noting how natural this looks, is a good illustration of how Quick-Pic’s character has evolved from his previous appearance, yet so subtle are these characterizations that this does not feel unnatural or forced. As for the villain of Captain Cracker and the whole pirates-in-space theme of this episode, even these are pulled off very successfully. 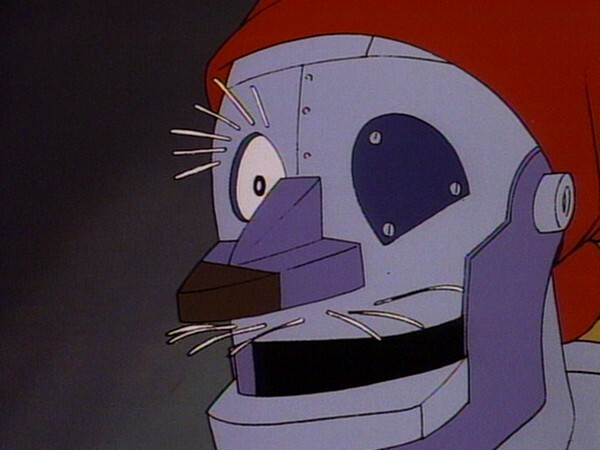 Later on in his writing for ThunderCats, William Overgard would introduce some concepts and elements into his episodes that would just jar horribly with the overall concept and tone of the series; but, at this stage, the introduction of Captain Cracker, his robotic crew, his ship and his background feel relatively natural within the context of the series thus far. 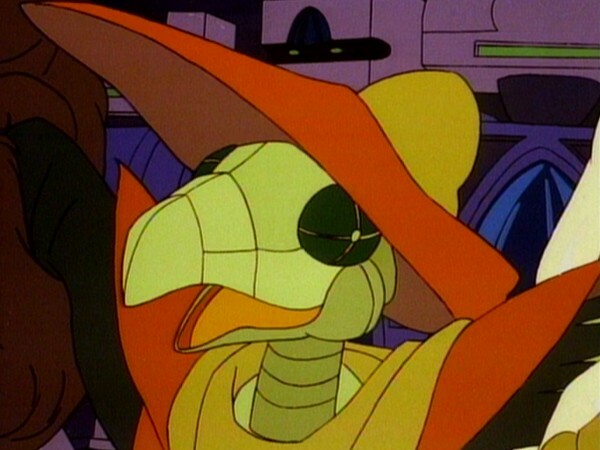 It does, of course, seem strange to see a robotic pirate spouting and sporting all the pirate clichés, even down to the robotic parrot, with no explanation given as to how such a creation could come to exist. As with so many things in a show like ThunderCats, this some requires suspension of disbelief! In truth there are also some slightly weaker points to this episode. 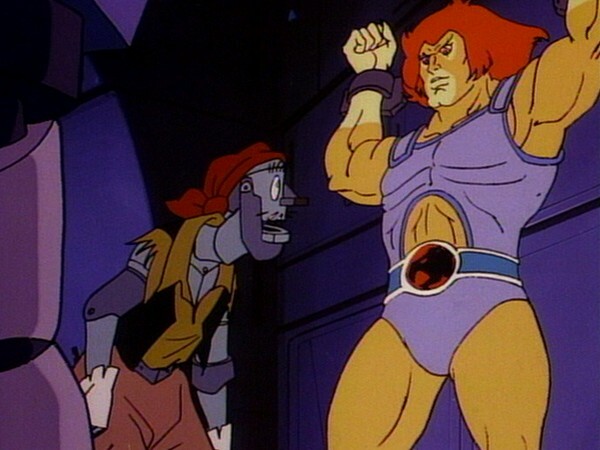 The plot, for all its originality, lacks the feeling of impact present in some of these earlier episodes’ best offerings, and there is another rather convenient plot point that (even with the aforementioned suspension of disbelief) fails to ring true, that being Lion-O’s statement to Quick-Pic that he is unable to activate the Eye of Thundera in his efforts to rescue Mandora because of the magnetic field that is present. Whilst it is true that the Eye of Thundera would, at times, be shown to have limits and be somewhat unstable, this particular limit feels more convenient than characteristic, given that the Sword is a magical item and thus should, at least in my view, only be affected by other magical forces. However, setting these relatively minor criticisms aside, “Mandora and the Pirates” still makes for an enjoyable adventure and one of William Overgard’s stronger ThunderCats scripts. This episode marks the second appearance of Mandora the Evil Chaser, and like her first it is penned by writer William Overgard. Overgard would in fact write the majority of the episodes that featured Mandora. 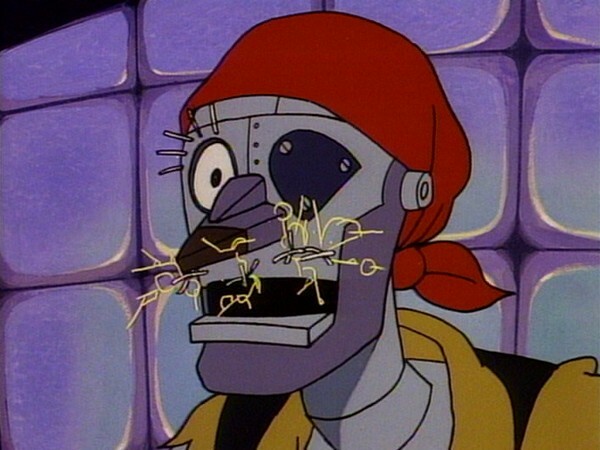 This episode introduces us to the unstable robotic pirate Captain Cracker. Cracker would return in “Exile Isle” and “Cracker’s Revenge”, both of which were also penned by William Overgard. In this episode, we get a brief look at two more members of the Interplanetary Control Force, revealing that Mandora’s helmet is not unique to her but would appear to be standard issue to ICF officers. The character of Quick-Pic returns in this episode, this time as a reformed character. 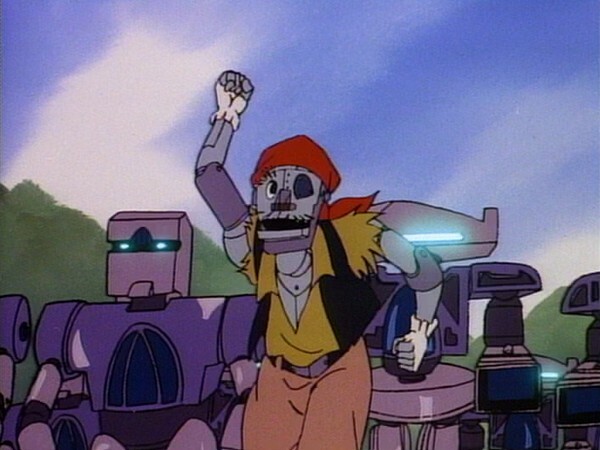 William Overgard appears to have enjoyed writing for pirate characters, having also contributed two scripts to Peter Lawrence’s 1990s animated series Peter Pan and the Pirates!